I-Tip hair extensions, sometimes called micro beads are actual beads that are used to add length and fullness to hair without using any heat or stickers. 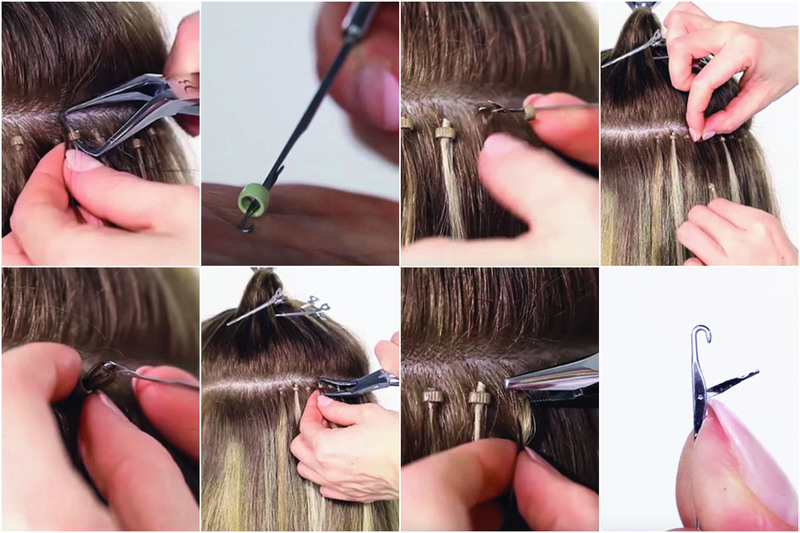 Suitable for most hair types, i-tips are easily put in and take less than 2.5 hours for a full head of application. I-Tips are applied using tiny beads that are threaded in with the hook for ring device and then flattened with the assembly pliers. Disassembly pliers are required to take extensions out. I-Tips must be slid back up to the scalp as they grow out and last for 3-6 months depending on how well they are taken care of. Not only are I-Tips easy to apply but a full head of I-Tip hair can be completed in less than 2.5 hours. If you are unfamiliar with I-Tips and would like to try them out, please contact us and reserve your seat for an upcoming certification class. For more information, to become certified in i-tip extensions, or to find an i-tip certified stylist near you, please contact us at info@dibiasehairusa.com or (248) 489-8900.